As a result of Geneva Conference in 1954, the French and Viet Minh came to an agreement to secure peace in Vietnam. All French forces in the North returned to the South while Viet Minh units in the South retreated from their positions and regrouped in North Vietnam. Vietnam was now split into two parts by the 17th parallel until the free election to be held in July 1956. This demarcation line was officially called the Vietnamese Demilitarized Zone (DMZ). The DMZ ran along Ben Hai river to Vietnam-Laos eastern borders which is near the center of present-day Vietnam and extended 5 kilometres on both sides of the river. The DMZ’s width varied from 2.5 to 6 kilometers in most places yet about 10 kilometres in some others. As all armed forces had to be excluded on both sides of the line according to the agreement, the DMZ became a combat-free area. Five years after the establishment, the DMZ was firstly breached by the North Vietnam when the Ho Chi Minh Trail was established across the line in 1959. In early 1960s, in order to maintain the secrecy of the trail, Hanoi rerouted it along the western end of the DMZ. In early 1966, conflict began to escalate around the DMZ. In June 1966, PAVN forces launched their first conventional attack on U.S. Marines garrisoned in the hills of northern Quang Tri. In late February 1967, US forces began to retaliate by shelling PAVN bases in the north of the DMZ. The PAVN responded by using artillery in the north of the DMZ for large-scale shelling of US positions. The artillery duel lasted for more than a year until President Johnson decided to halt the bombing against North Vietnam. During the period, U.S military also constructed an barrier system along the DMZ as an attempt to prevent infiltration of NVA forces into South Vietnam. The system was comprised of barbed wire, electrified fencing, land mines and military strongholds at geographically advantageous positions. It was later named the “McNamara Line” after U.S. Secretary of Defense Robert S. McNamara, who thought the system was able to stop the Northern communists. However, it turned out to be inefficient despite the high cost to build and maintain. On October 29, 1968, all its construction work along the DMZ was ceased marking the end of the McNamara Line. Under a new policy of Vietnamization, U.S. Army gradually withdrew from their fire bases in south of the DMZ. To replace the US troops, ARVN deployed its 3rd Division along the DMZ in early 1972. Soon after the deployment, by the end of March 1972, the PAVN initiated their second massive attacks in South Vietnam, known as Easter Offensive. North Vietnamese 304th, 308th and 324B divisions were deployed to storm into the DMZ. After a month of fighting, on May 1, Quang Tri was eventually lost to the communists and the border was pushed 20 kilometers further south. On June 28, Saigon conducted a counterattack to take over the province. The battle lasted for nearly three months until 16 September when the ARVN retook most of their positions. After the fall of Saigon in 1975, the DMZ had no further military significance. On 3 July 1976, the National Assembly of Vietnam officially disestablished the 17th parallel demilitarized zone. Nowadays, the DMZ has become a popular tourist destination. Tourists can easily explore the DMZ by joining one of various well-organized tours from Hue. 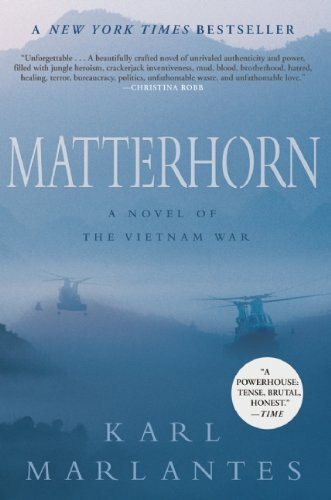 Many famous war settings located around the DMZ such as Khe Sanh Combat Base, The Rockpile, Ho Chi Minh Trail, Vinh Moc Tunnels and Doc Mieu Station recall the intensity of heavy fighting occurred several decades ago. 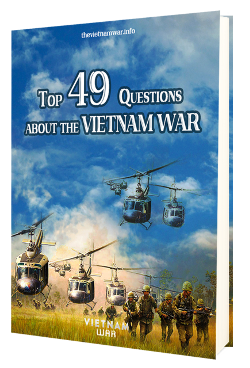 What were North Vietnamese tactics?